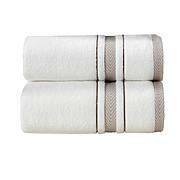 Nothing says affluence like a Turkish towel. Experience the feeling of the softest natural cotton against your skin just once, and you'll never look back. 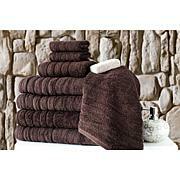 Envelop yourself in softness with the sensation only this rich cotton offers. Forget the expensive day at the spa — now, there's no reason to leave your home for luxury. To maintain maximum absorbency, do not use fabric softener or dryer sheets when laundering your towels. 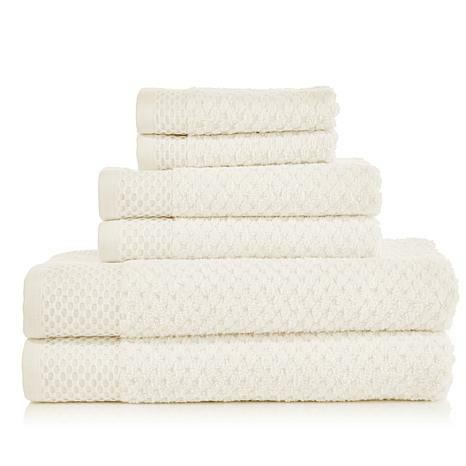 I have never been as pleased buying towels online as I am with this purchase. The towels are long and wide. They are so soft and wash nicely getting fluffier and softer with each wash. Even my sons liked them because they absorb so well. Going back for more. Wish they had more color choices as white and ivory for construction workers (sons) doesn't fit well. 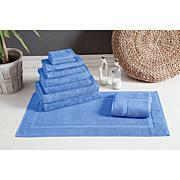 Also the color of the towels are very nice and solid. Love them. 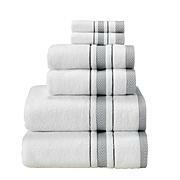 These towels are very nice, wash and dry nicely. Happy with my purchase. These are great towels. Glad I bought them will use them for many years. These towels are wonderful. Thick and plush. Good value for 6 pieces. estoy enamorada de esta toallas,muy linda lo que importa es que secan bien y lavan perfectas. ya ordene la segunda orden.